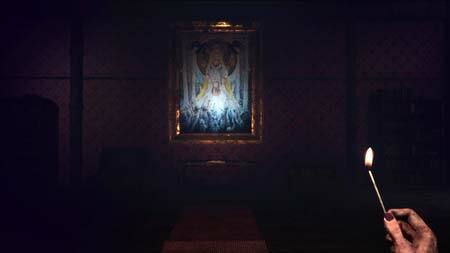 Unforgiving – A Northern Hymn is a first person horror game by Angry Demon Studio. The game is heavily inspired by Swedish folklore and the Nordic mythology to create the nightmares that’s been haunting Swedish children for many generations. The whispers of the northern woods pick at your sanity. Your fingers tremble as you light your final match, body shivering from dread. Do you sense them hunting for you? Can you feel them hunger for your last breath? You can feel his eyes on you, sitting at the water’s edge, watching as he plays his infernal violin. Are you brave enough to face the darkness in your soul? The game features Intelligent AI choosing its own paths instead of patrolling on the same routes over and over. If you stuck in the game, check out the video walkthrough and gameplay for the game. This entry was posted in Android Games, iOS Games, Mobile Games, Walkthrough and tagged Unforgiving A Northern Hymn Cheats, Unforgiving A Northern Hymn Gameplay, Unforgiving A Northern Hymn Guide, Unforgiving A Northern Hymn Hints, Unforgiving A Northern Hymn Review, Unforgiving A Northern Hymn Solutions, Unforgiving A Northern Hymn Strategy, Unforgiving A Northern Hymn Tips, Unforgiving A Northern Hymn Walkthrough by Marvin. Bookmark the permalink.